Hi there, friends! Hallo, Mädels! That cakestand! I also like the personalized ones. They make a great wedding gift. So pretty. I love how you color complemented the picks. That cake plate is adorable...love the color too! Love the chill sign! Even though you don't have a theme, they all go so well together! Those earrings are so cute! Maybe it's time to get my ears pierced again. They've been closed about five years now and I miss accessorizing with earrings! Of course I love the colors here! The sign is really neat. I can see why they're favorites! I like that sign too! Wow. Etsy is just full of surprises. Der Chill-Schriftzug in Türkis ist wirklich schön. This might be my all-time favorite mood board of yours. 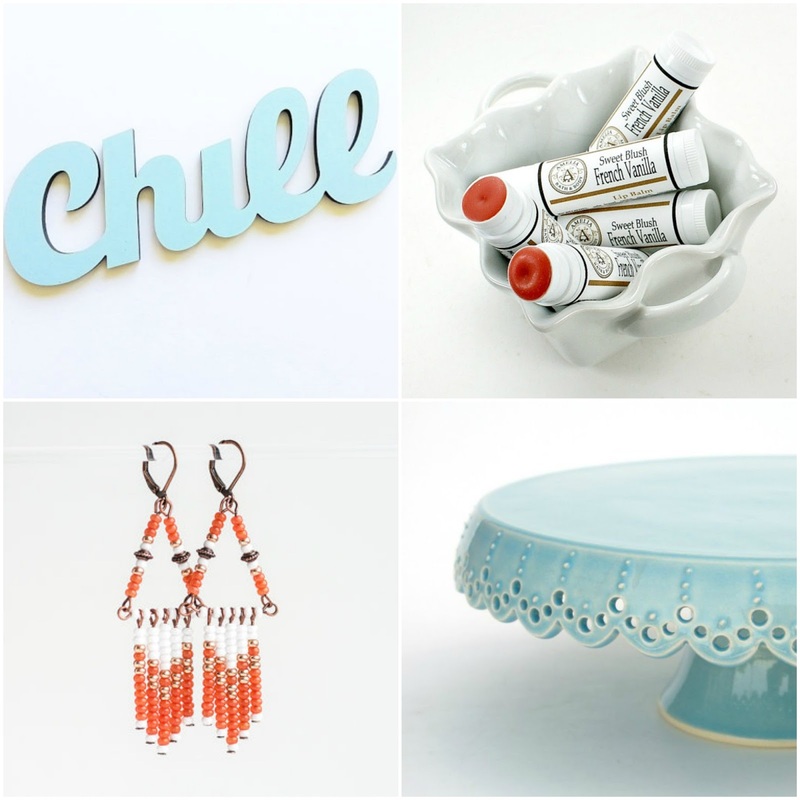 The chill sign and the cake stand are so cute. They would look great in my house, haha.